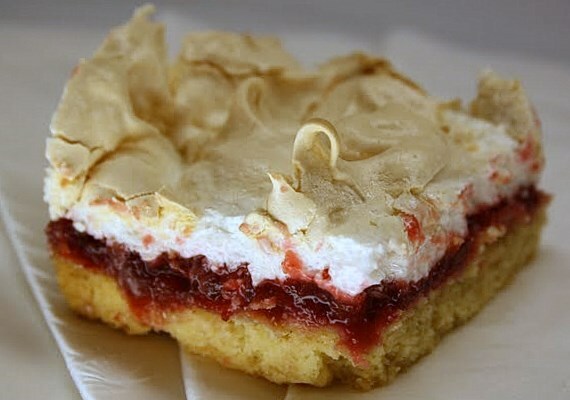 Cranberry Snowdrift Bars . . . Along with producing way too many rolls and whipping up about three times the amount of mashed potatoes actually needed for Thanksgiving dinner, did you also happen to make a hefty surplus of cranberry sauce? You did? Me too. We have a mountain of mashed spuds left. What could I possibly have been thinking as I peeled my millionth potato on Thursday morning? That the Waltons might turn up uninvited on our front porch, with John Boy in the lead? It's All Gravy . . . The only thing we never seem to make too much of is gravy, a vital substance. Not unlike human plasma in its importance, it ties the whole feast together. Most folks can't live without it on their turkey, though I've heard that a few can. My two sons, along with a couple of their friends, descended on our kitchen this afternoon after they'd all been out power-shopping (teenage-boy style power shopping, that is). Clearly ravenous, they attacked the leftover provisions with a vengeance, each plate piled higher than the next. I was grateful that the absence of gravy, which I assume they found startling, didn't dampen their enthusiasm. In light of the cranberry sauce surplus, I was happy to have an opportunity to try out this surprisingly different recipe that hails from Dede Wilson's book, A Baker's Field Guide to Christmas Cookies. I don't know which appeals to me more, the bars themselves or their cute name. Both are delightful. 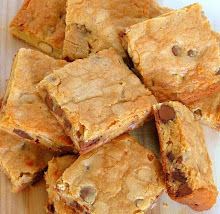 These bars start out with a tender-crunchy base, kind of like a shortbread crust. 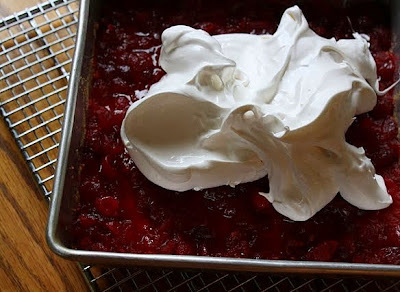 That's baked, and then topped with cranberry sauce, then a meringue is spread over the top of that and it all goes back into the oven. 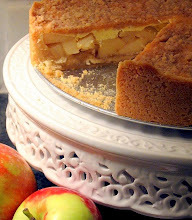 The end result is delicately crisp, sweet, and just tart enough. I stuck pretty closely to the original formula, just reworded it. Preheat oven to 350 degrees. Coat an 8" x 8" square pan with vegetable spray. Whisk together the flour and salt in a bowl. 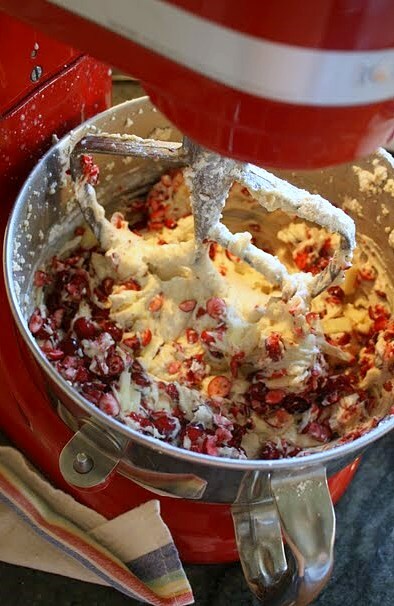 In the large bowl of your mixer, on medium-high speed, beat the butter for a few minutes, until it's creamy. 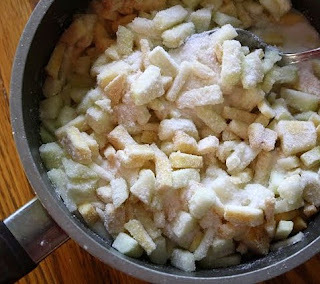 Gradually add in the sugar, beating now on high speed, until the mixture is light and fluffy; this may take several minutes. Add in the vanilla. In thirds, pour in the dry ingredients gradually, beating just until blended. Pat the crust firmly and evenly into the bottom of the prepared pan. Chill in the fridge for 30 minutes, or in the freezer for about 15 minutes, before baking. Bake until dry to the touch and light golden brown, with darker golden areas around the edges--about 30 to 40 minutes. Don't turn off the oven when you take the pan out. 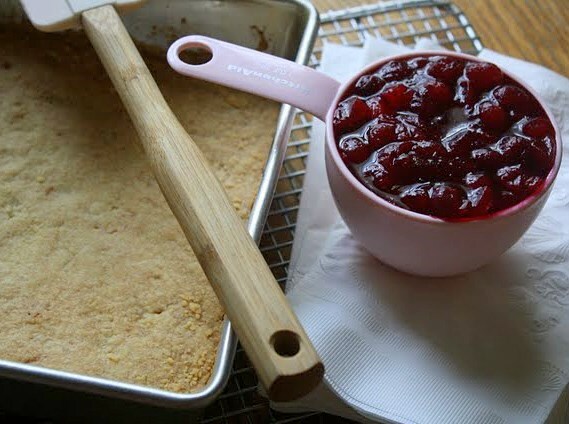 Cool the pan on a rack for five minutes, then spread the cranberry sauce over it. 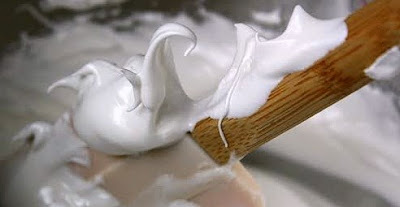 In a smaller mixer bowl, using the whip attachment, whip the egg whites on high speed until foamy. 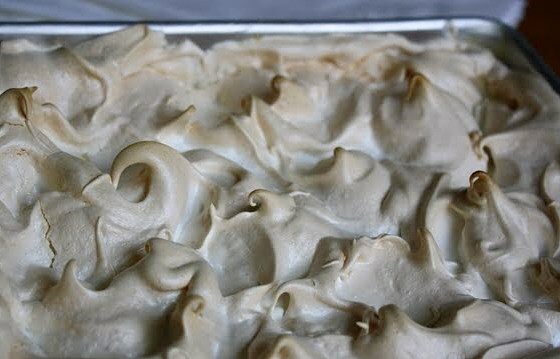 Add in the cream of tartar and beat until soft peaks form. Then, gradually add in the sugar, beating on high until stiff--but not dry--peaks form. Add in the vanilla. Spread the meringue evenly over the cranberry filling, using the back of a spoon to push it out to the edges. 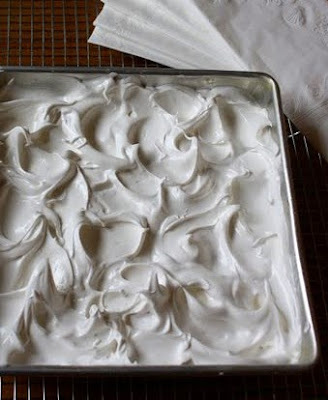 Make some cute swirls in the top of the meringue. 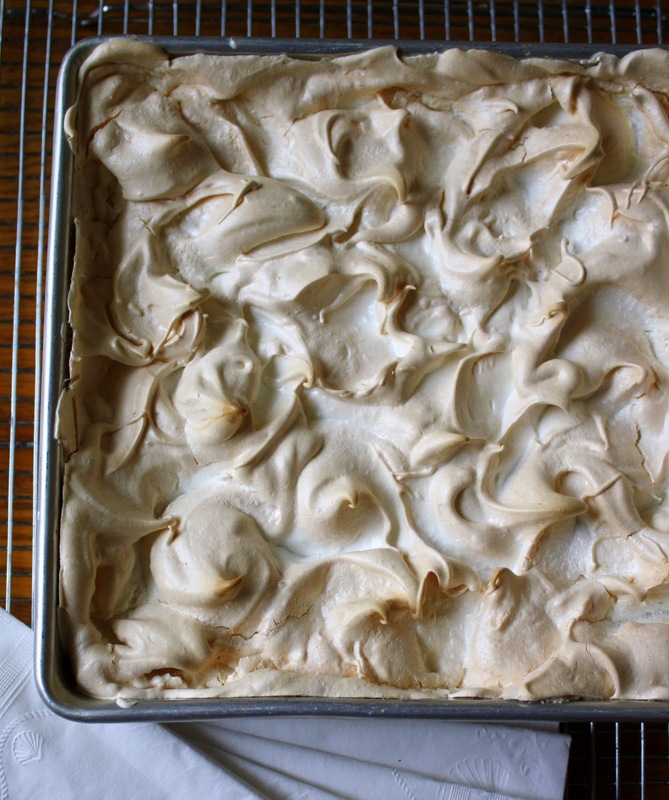 Put the pan back into the oven, and bake for about 25 minutes, until the meringue is just very lightly browned. 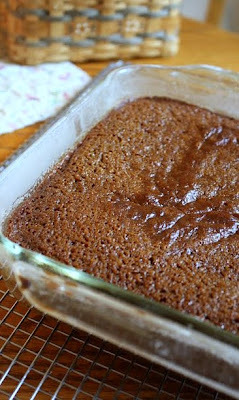 Cool the bars, in their pan, on a cooling rack. The Turkey Day Comfort Zone . . . Happy Thanksgiving! Thanksgiving, aside from being a hopefully-heart-warming family holiday, as well as a dietary cautionary tale, is also a fairly rigorous exercise in domestic decision making, wouldn't you agree? So much to contemplate in preparing for the whole shebang. Almost invariably, it requires a bushy flock of post-it notes sticking out of cookbooks, at least three trips to the market in close succession due to overlooked ingredients, and one protracted search for that huge roasting pan that you know you saw on a shelf in the basement last Easter. Well, anyway, you think you saw it down there. Despite the little stresses, we have enduring affection for this holiday all the same. It annually reminds us of how lucky we are, how gratitude uplifts us, and of how much we value everyone we love. 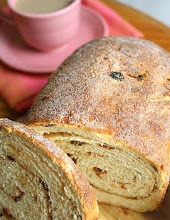 It also reminds us of how much satisfaction and joy we get out of baking! This year, as far as baking went, I opted for tradition. That decision allowed me to linger, one might say, in the wide and expansive Turkey Day comfort zone. Yesterday I bustled around in the kitchen for hours. The end result was a full-flavored pumpkin pie made with heavy cream and enhanced with a tiny bit of dark rum in the filling; a replay of the best apple-cranberry pie recipe I've ever used (and which can be found in loving detail in my blog, right here); and, three-dozen buttery dinner rolls, formed in three 9" cake pans--the kind of rolls that snuggle more closely together as they rise. 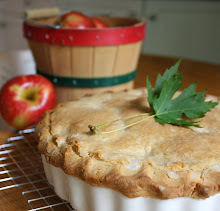 Though I don't have a new recipe to share with you today, I just wanted to tell you that I'm so grateful for the friends and acquaintances I've made through my interest in baking--both online and in person. I sincerely hope you have a festive and blessed Thanksgiving! Fresh Cranberry & Apple Muffins with Almond Streusel Topping . 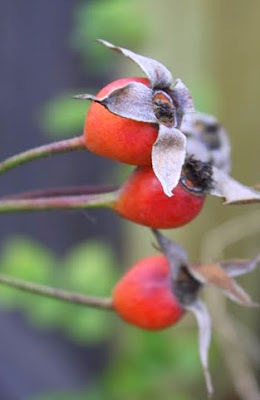 . .
One weekday morning a few days ago, while in the kitchen assembling my kids' school lunches, my husband sat at the table munching his breakfast of oatmeal with a sprinkling of dried cranberries on top. He tries to be relatively careful about what he eats most of the time, and he picked up the cranberry package to read the nutritional info on the back. After a moment he remarked to me, "Where can we buy dried cranberries that don't include sugar?" To which I replied, "I'm not sure they exist. 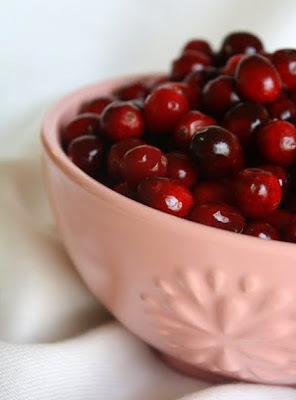 Plain raw cranberries are incredibly tart and they're pretty much unpalatable. 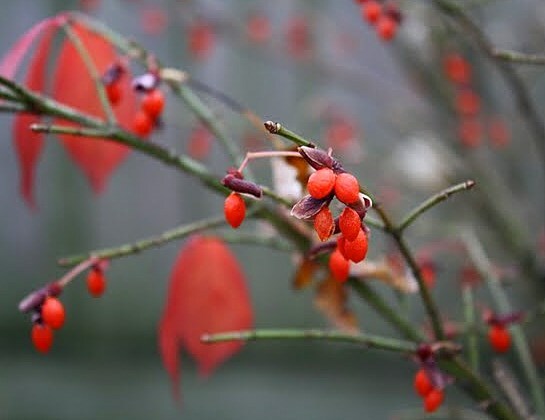 I think they have to add sugar to dried cranberries or nobody would eat them." He muttered something then that sounded like, "Hmmm . . . damn." Now, having had a little time to ponder, I figure I could be totally wrong about that. Maybe health food stores sell unsweetened dried cranberries? I don't know, but I should investigate further. Dietarily, I understand the hubby's interest in having no-sugar-added cranberries atop his healthy bowl of oatmeal. As a baker, however, I don't feel the least bit handicapped by a need for fresh versus frozen versus dried cranberries--sweetened or not. Most recipes that call for cranberries are incredibly versatile; have you ever noticed this? Especially when we're talking about something as forgiving as a muffin recipe. 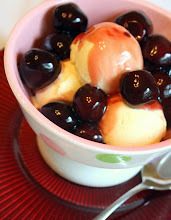 You can almost always reliably use fresh, frozen, or dried berries and expect fine results. 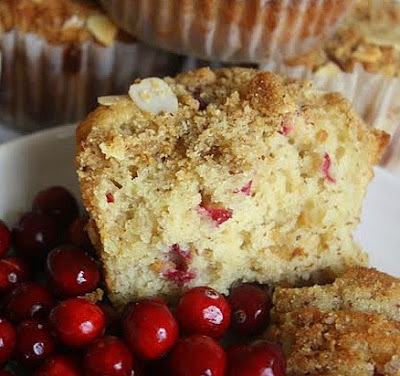 These muffins were made with the first bag of fresh cranberries that I happened upon in the grocery store a couple of weeks ago. And, please don't tell this to the Cranberry Police, but I'm planning on hoarding several more bags before the season's through--gonna stick those guys in the freezer for future reference. They're not around for long, you know. But they freeze like champs. Just fling 'em in there, right in the bags they came in. 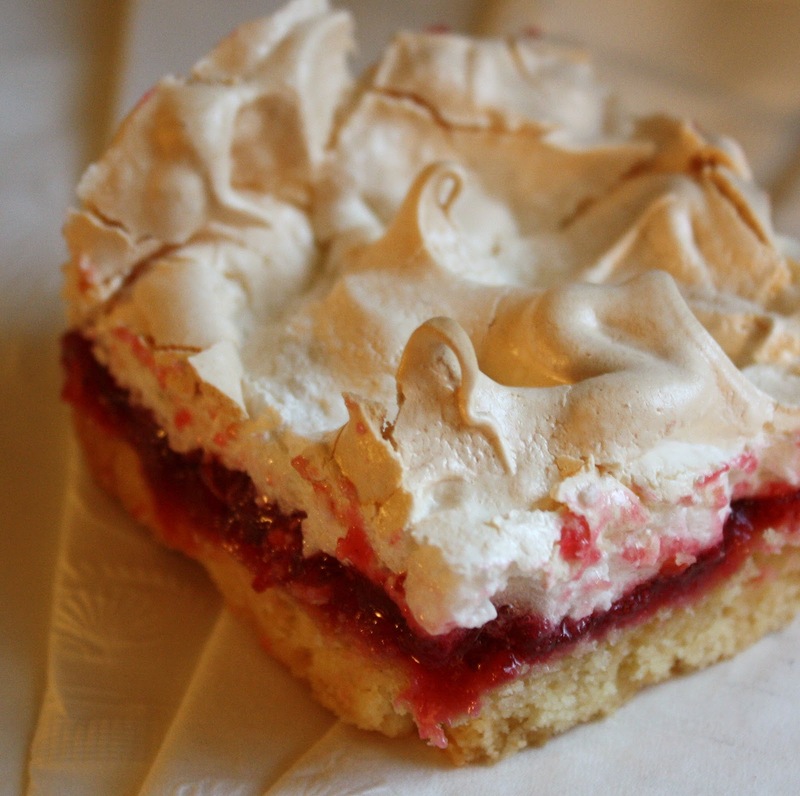 Get 'em while they're around, bakers! Go ahead and hoard those babies. Just do it, and don't look back. 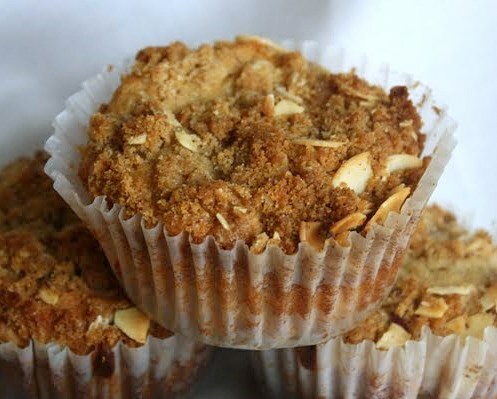 These muffins are made from a hybrid recipe I concocted after baking about a zillion different muffin recipes in the last few years from who-knows-how-many sources. I hope you like these as much as I do (and I like them a lot). Oh, and feel free to leave the apple out of these altogether if you prefer your cranberry muffins straight-up. In a medium size bowl, mix together all the streusel's dry ingredients. 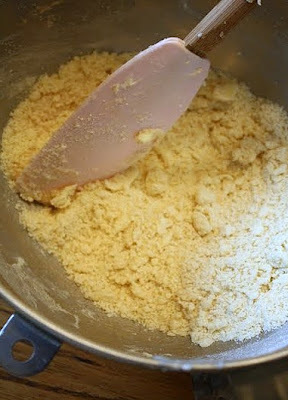 Then, using your fingers or a fork, lightly squish the butter into the dry ingredients; the streusel should be kind of lumpy looking. Set it aside. 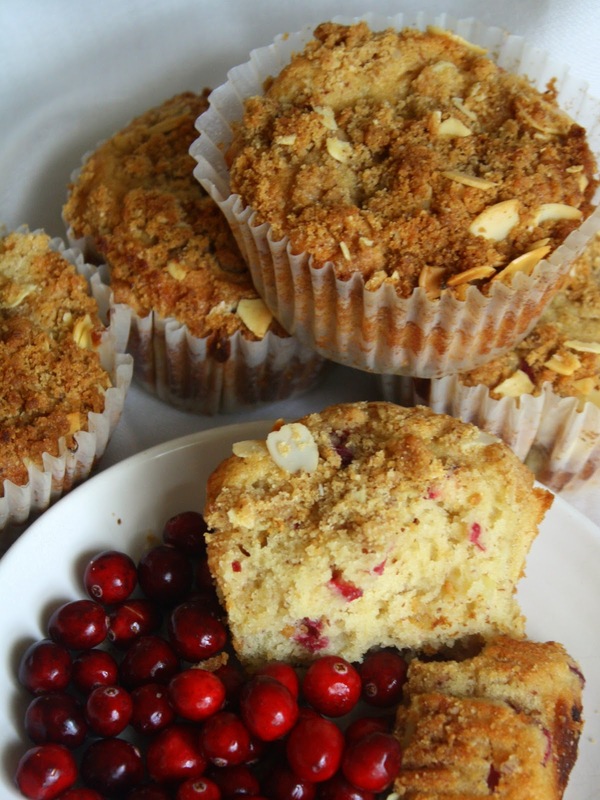 Prepare 24 regular size muffin cups, or 12 - 14 jumbo muffin cups. If using paper liners, lightly spray them with vegetable spray; spray even the top area of the muffin pan between the cups. If not using liners, then spray the metal cups, along with the top of the pan, generously with vegetable spray. In the large bowl of your mixer, using the paddle attachment, beat the butter and sugars until fluffy. 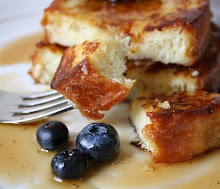 Blend in the room-temperature eggs, then blend in the sour cream, buttermilk, orange juice, and the extracts. 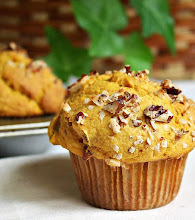 In a separate bowl, whisk together the flour, almond meal, salt, baking powder, baking soda, cinnamon, and nutmeg. Add this into the liquid ingredients, beating on low speed just until combined. Add in the cranberries and apple pieces (if you're using them), blending on low speed just until combined. Using a portion (ice cream) scoop, equally divide the batter among the muffin cups. Top them evenly with all of the streusel. 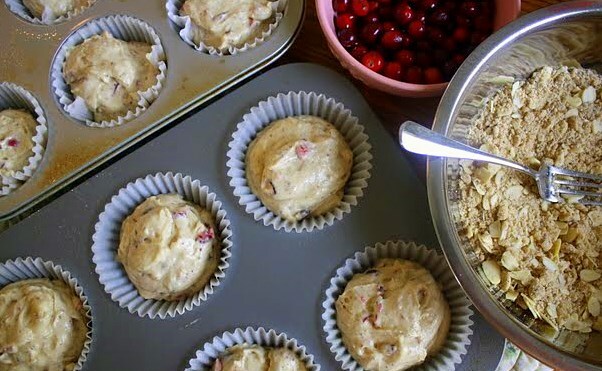 Put the muffin pan(s) on top of a baking sheet to help prevent the bottoms from burning (I always do this with muffins--it's a lifesaver!). 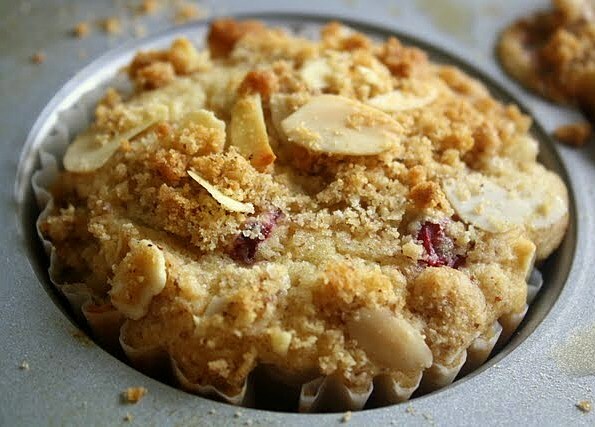 Bake the muffins until the tops are golden, they spring back when lightly pressed on top, and when a toothpick inserted deeply into the center comes out clean. 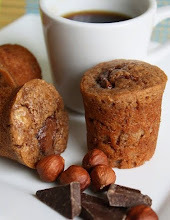 Anywhere from 20 to 35 minutes depending on the size of your muffin cups. If they seem to be browning long before they're really done, be sure to cover them lightly with a sheet of foil. 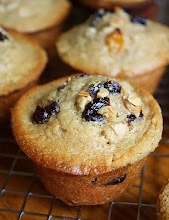 Let the muffins cool for a few minutes while in the pan on a rack, then remove them to finish cooling on the rack. Once upon a time, there was a charming cottage nestled in the lush woods of northern Michigan. One day, a brilliant and inspired chef named Pete Peterson cast a spell, transforming it into an enchanted restaurant, which he named Tapawingo. It thrived for over 25 years, and the legend of its magical food spread far and wide. By and by things changed in Michigan, and fewer travelers were able to visit and enjoy the culinary treasures that Tapawingo offered. The devoted chef saw no alternative but to close his beloved eatery, though he did so with a heavy heart. All of the people who loved Tapawingo, and all of the people who wished they could have gone there but never had a chance to do so, were sad. The End. Fairy tale or true story? It's true, and though I wish I could say I had been one of the lucky diners, I never made it to Tapawingo. Described by the New York Times in 2003 as being of "international stature," the place was a culinary gem unique to the Midwest right up to its closure in 2009. The stuff that used to come out of that kitchen--famous for using the finest and freshest locally-sourced ingredients before doing so was all the rage--sounded so sublime. I am holding out hope, though, that some enlightened literary agent gets on the stick and convinces Peterson to write a cookbook one of these days. It will be such a pity if this never happens. Heck, I'd start a letter writing campaign if only I knew who to write to. So if there's no cookbook, how did I come upon this particular recipe, credited to that singular chef, Harlan "Pete" Peterson? It's from a homey compilation called Heartland Baking from the Midwest's Best Cooks, a slim cookbook from the collection of my late mom. 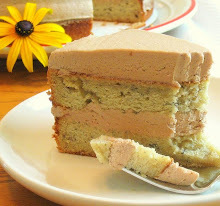 Paging through it, when I realized where this particular recipe came from, I knew I had to try it. 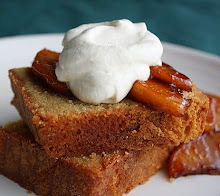 Thus I offer up this pear and ginger cake in homage to the enchanted Michigan restaurant that is no more. 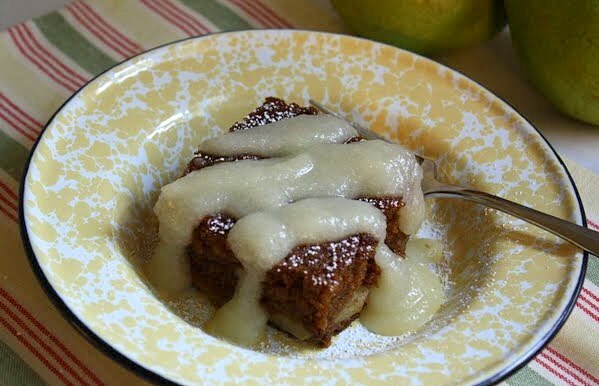 Very gingery and ultra-moist, with an understated sweetness, this charming little cake is meant to be served with a casual drizzle of warm, cognac-spiked pear sauce. 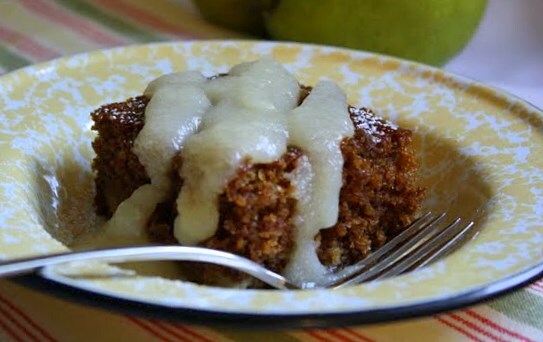 This is one autumn dessert that will help take the chill off. In adapting this, I made only tiny alterations to the formula, adjusting the proportion of spices a wee bit here and there, as I didn't want to tamper too cavalierly with perfection. In the large bowl of your mixer, using the paddle attachment, beat the butter just until it's softened, on medium-low speed. Into this add the brown sugar, and beat until fluffy. Add in the eggs one at a time, beating well after each, then add in the molasses and the ginger root. In a separate bowl, whisk together the flour, baking soda, salt, allspice, cloves, and nutmeg. 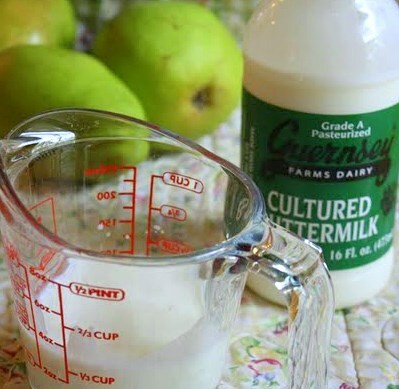 Add this, alternately with the buttermilk, into the mixing bowl on low speed. Beat just until combined. 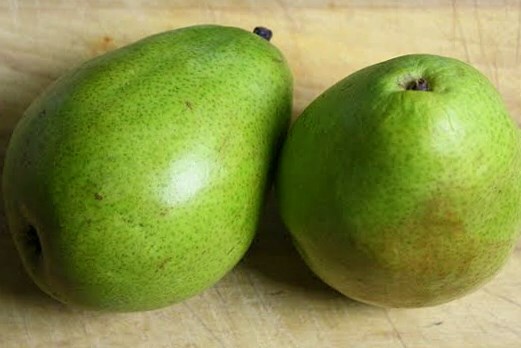 Gently fold the thinly-sliced pear into the batter. Spread the batter into the prepared pan and bake at 350 for about 35 minutes, or until a toothpick inserted into the middle comes out clean (well, more or less clean!). 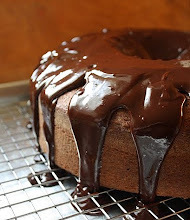 Cool the cake in its pan on a cooling rack. With a peeler, remove the zest from half of the lemon (just the thin yellow upper skin, be sure to include none of the bitter white pith). In a medium size heavy-bottomed saucepan, combine the zest, 2 Tbsp of juice from the lemon, 1 cup of water, and the 1/4 cup sugar. 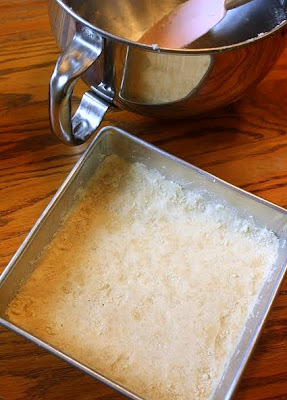 Heat over a medium-low flame until the sugar dissolves, stirring periodically. Peel, core, and quarter the four pears. Add them into the sugar mixture. Cook this uncovered until the pears become tender, perhaps 10 minutes or more. 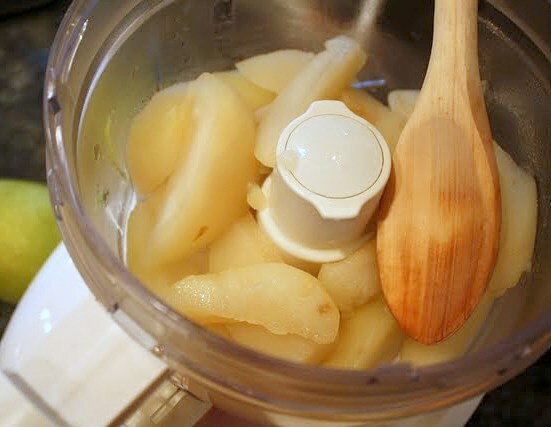 With a slotted spoon, remove the pears from the pan and put them in the bowl of a food processor. 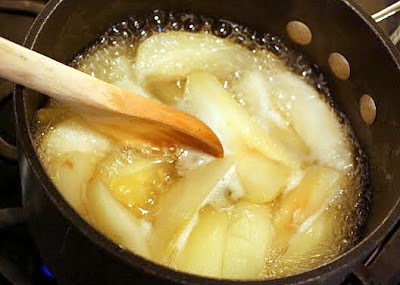 Continue cooking the liquid in the saucepan until it has reduced by half, then remove and throw away the lemon peel. Pour the liquid into the food processor bowl. Pulse the mixture until it is completely smooth. 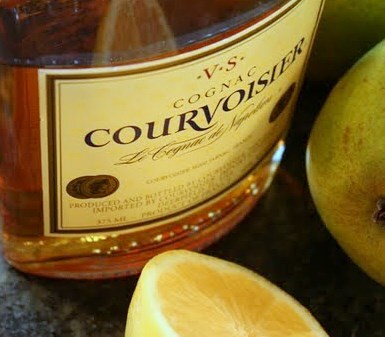 Put it in a small bowl, and stir in the cognac. 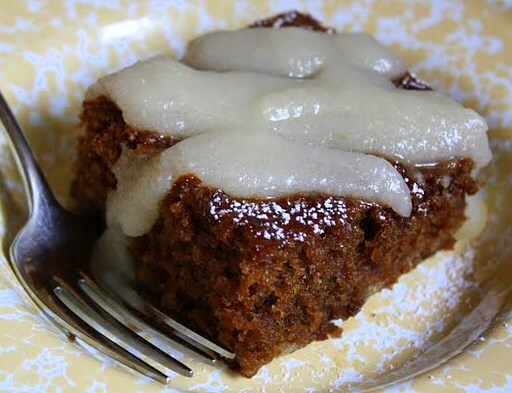 Serve the sauce warm, draped over individual pieces of cake. Sprinkle confectioner's sugar on the pieces first, if you like. 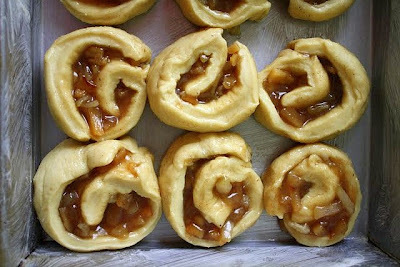 Last Monday morning at 7:30 on the dot, I was sitting quietly on a stool in the pastry classroom, my elbows resting on a stainless-steel work station. Despite the early hour, I was ready to get started, fully expecting my teacher to stride in at any moment and begin the day's instruction. Our class session was to be devoted entirely to chocolate. 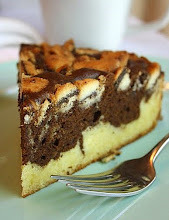 We would learn, among other things, how to properly temper couverture, and we would each make a small chocolate sculpture. I was rather looking forward to it . . . but the minutes ticked by and Chef Roger failed to appear. Still in waiting mode, I'd barely opened my textbook to review our latest reading assignment when the chair of the culinary school popped his head in the classroom door and, with an apologetic expression, informed us that our teacher had taken ill--his classes for that day were being canceled. I absorbed the news with a flash of mild disbelief. Well, this is a first! I thought to myself. The standard perception among students is that all the chefs have constitutions of iron. Unless they can't walk, talk, or they're deemed too contagious to stay, they always show up for class. So, now the question was how to take advantage of this mini-windfall of free time? My mental gears slid easily out of attentive-student mode. I could be home within 45 minutes at the latest, and I didn't want to waste the next few hours on something as uninspiring as housework or errands. The natural conclusion, then? I should bake--of course! Driving home, I tossed around the possibilities. Madeleines? Apple dumplings? Maybe that savory onion tart I've been pondering for months? 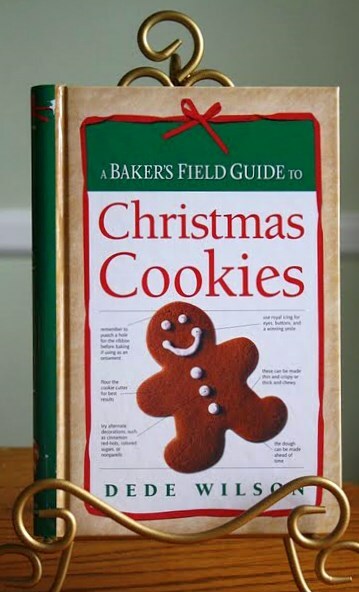 How about a new cookie recipe? 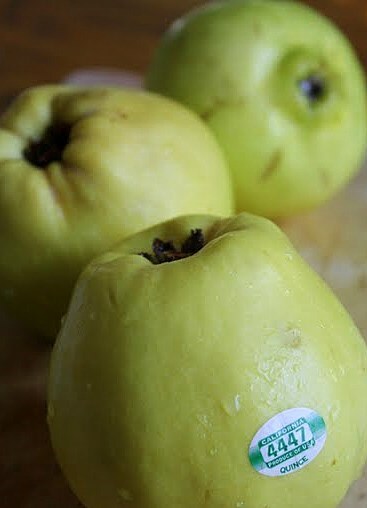 And then I remembered the ripe quinces that were languishing, albeit patiently, in the fruit compartment of our basement fridge. That set the wheels of my morning in motion, turning it into a pleasant and productive one indeed. 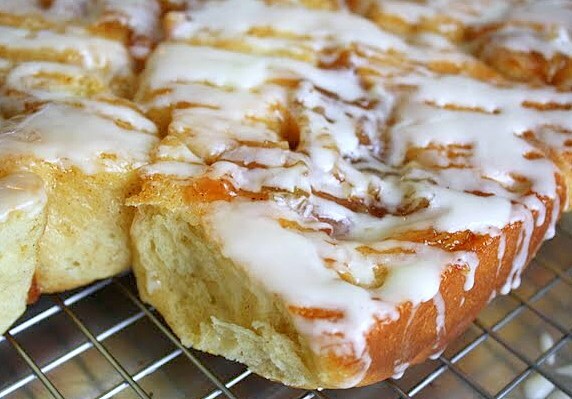 This is a sweet-roll dough formula that my mom used for years. 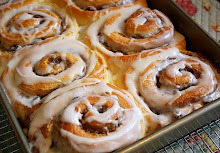 Because it's just slightly sweet she made not only sweet rolls from it, but also dinner rolls like clover leafs and crescents--you name it, she probably tried it. She'd typed the recipe carefully onto a lined index card, crediting it simply to a 1971 book by the editors of Farm Journal. The filling recipe is one I whipped up on my own. It's composed of a couple of apples, a couple of quinces, and one pear, all of which are peeled, cored and diced small. ( I'm sure this would be equally good, though, even if made only with the apples; I was just eager to work with the quinces, as they're new to me. Besides the quinces, I used Granny Smith apples, and an Anjou pear.) The pieces are tossed with sugar, a bit of flour, and a squeeze of lemon juice. In a big saucepan the filling slowly stews and bubbles, reducing until the mixture has thickened. Spices are added in and, once cool, it makes for a flavorful filling. 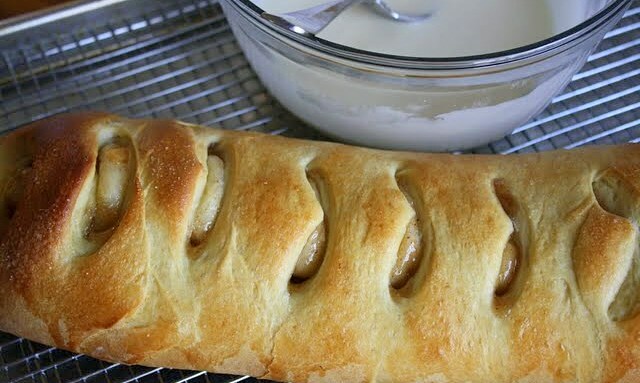 This cozy combo of autumn's fruit, nestled in the slightly sweet and golden-baked yeast dough, is drizzled with a cream-based vanilla icing. 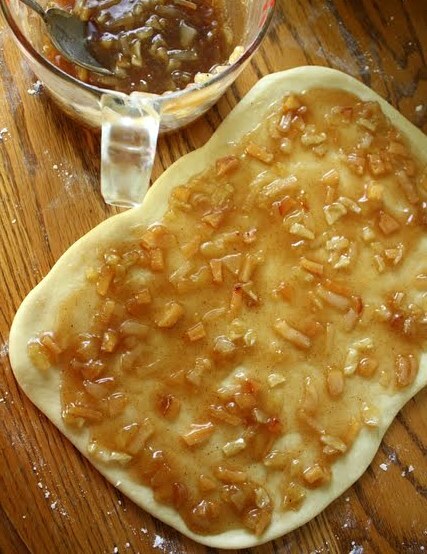 You can shape this dough in a variety of ways. Among the possibilities are individual twirls, like cinnamon rolls, or go with one long roll that gets nipped with scissors to expose the filling. 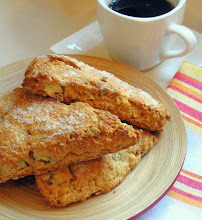 Out of one batch of dough, you could try both options--that's what I did. These treats are definitely best the first day, when extremely fresh. 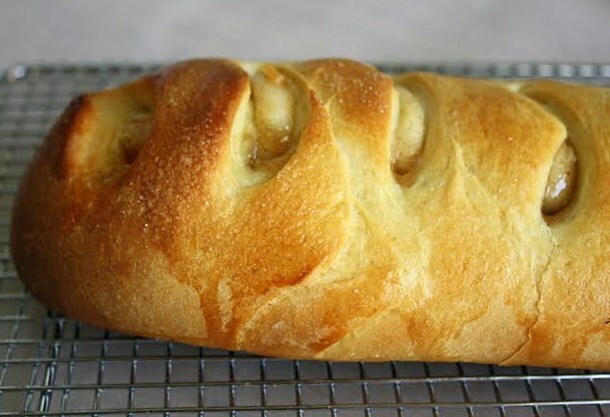 On day two, you'll probably want to warm the rolls up a bit before serving; the long roll, sliced as needed, doesn't seem to dry out quite as quickly. 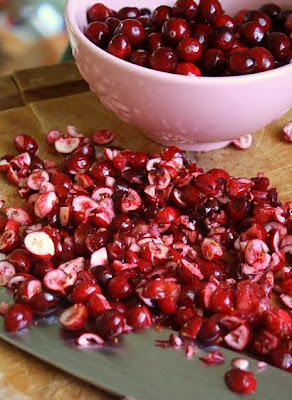 Peel, core, and dice the fruit into small pieces; put all of it in a medium size heavy-bottom saucepan. Squeeze in the lemon juice and stir the fruit. Stir together the sugar and flour in a small bowl, then add that to the fruit and toss to combine and coat. Heat over a medium-low flame, stirring periodically, until mixture looks very juicy and the pieces begin to soften. 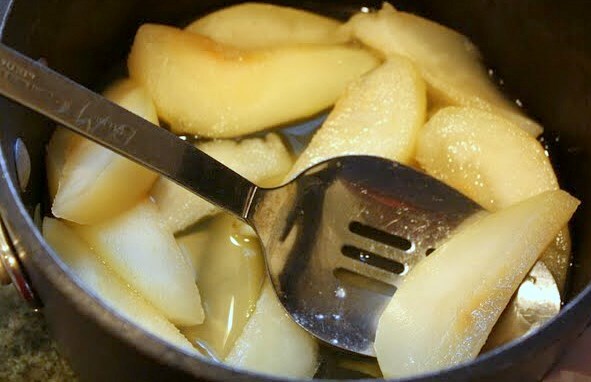 If there's not much juice at all, add in a few tablespoons of water or apple juice. Raise the heat and cook until the mixture boils, checking it frequently and stirring, then turn it down and let it reduce until it's thickened. All of this may take up to half an hour or so--just use your own judgment (the only way to wreck it, really, is to burn it!). 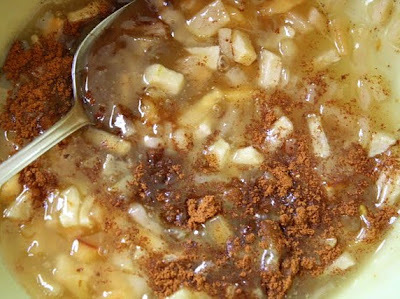 Pour the mixture into a bowl, stir in the cinnamon and nutmeg, and let it cool completely before using it as filling (it's okay to cool it off in the fridge). 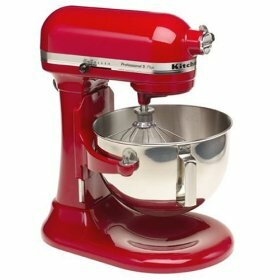 In the large bowl of your mixer, using the paddle attachment, mix the milk, butter, sugar, and salt. 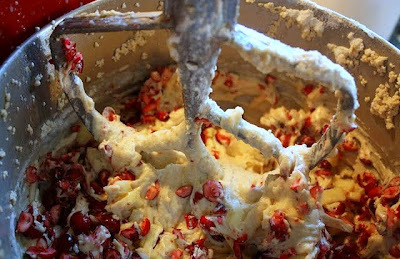 In a separate bowl, whisk together 1 and 1/2 cups of the flour and all of the instant yeast; add this into the mixer bowl. On low speed, beat for 1 minute, then add in the two lightly beaten eggs, mixing just to combine. A little at a time, still on the lowest speed, add in the remainder of the flour. Mix just enough to make a soft dough that eventually leaves the sides of the bowl. Now, switch to the dough hook, and knead on low speed for 4 minutes (or, if you prefer, knead entirely by hand for 8 minutes). Then, take the dough out of the bowl, and finish kneading it by hand on a lightly floured surface; knead until it feels elastic, satiny, and it's no longer sticky. 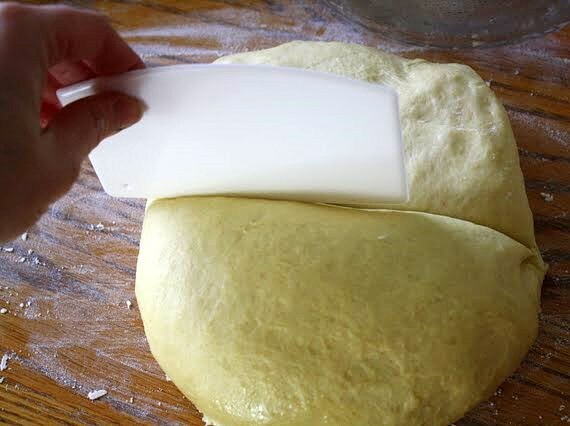 Place the dough in a lightly greased bowl, turning the dough over to grease both sides. Cover the bowl with plastic wrap, then with a lightweight dish towel, and place it in a warmer-than-room temperature spot to rise until it doubles in volume; this may take up to about 90 minutes. 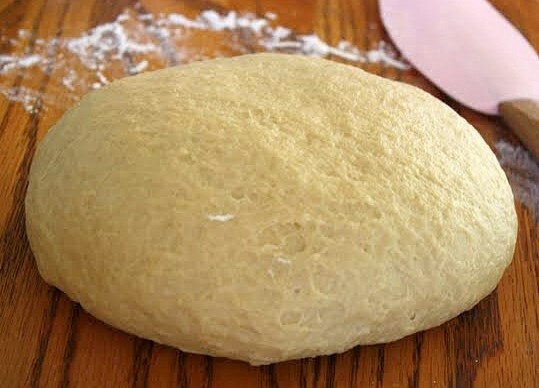 Remove the risen dough from its bowl and divide it in half; put half the dough back into the bowl and cover it with the plastic while you're working with the other half. 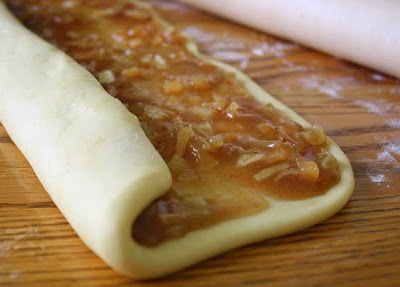 To shape the dough into individual twirls (versus one long roll), use a rolling pin to roll the dough into a rectangular shape about 12" by 9". 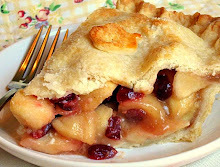 Spread half the filling onto it, pushing it toward the edges with the back of a large spoon or a spatula. Beginning at the long side of the dough, carefully roll it up, pinching to seal the long seam as best you can; place seam side down on a cutting surface (it may seem pretty floppy and soft, but don't worry). Using an extremely sharp knife (like a chef's knife, not a bread knife), cut the roll into pieces about 1 and 1/2 inches thick. Lift the pieces gently and place them on their sides, evenly spaced, into a well greased baking pan (I used an 8" square metal pan and I sprayed it first with Pam, then I used a combo of butter and Crisco to grease it--sounds like overkill, but you can't be too careful--that's my motto!). Cover the pan with greased plastic wrap and a dish towel, and let it rise again for about one hour, until almost doubled. 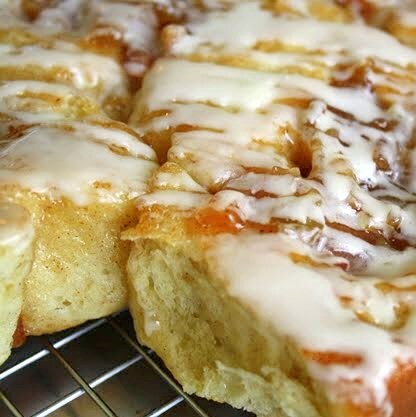 Brush the tops of the rolls lightly with the egg wash. Place the pan on top of a cookie sheet to help prevent the bottom of the rolls from burning. 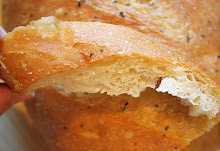 Bake for 20 to 25 minutes, at 375 degrees in a preheated oven. 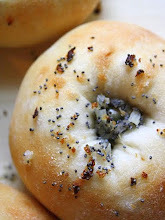 Remove from the oven when golden brown and no longer wet looking. 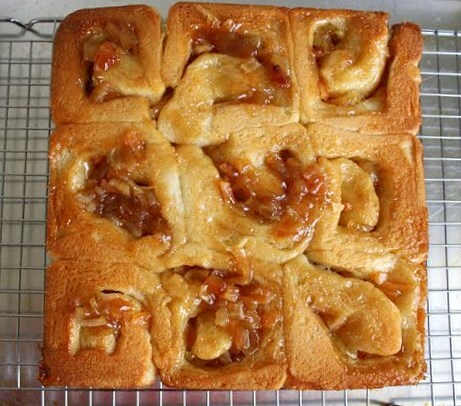 Let the rolls cool for just a few minutes, then cover the pan with a cooling rack and quickly invert it. 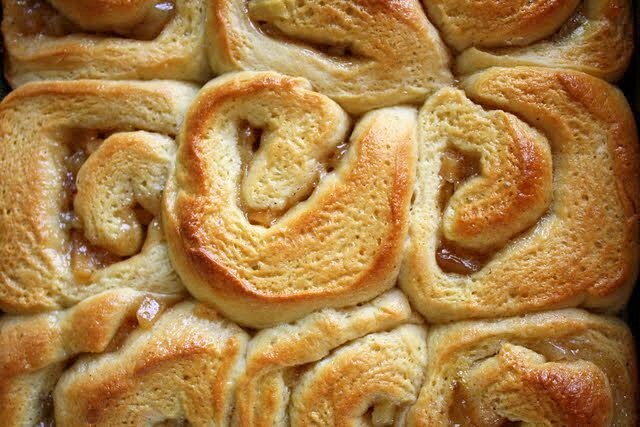 The bottom becomes the top; you should see a lot of fruit on the rolls as you pull off the pan. 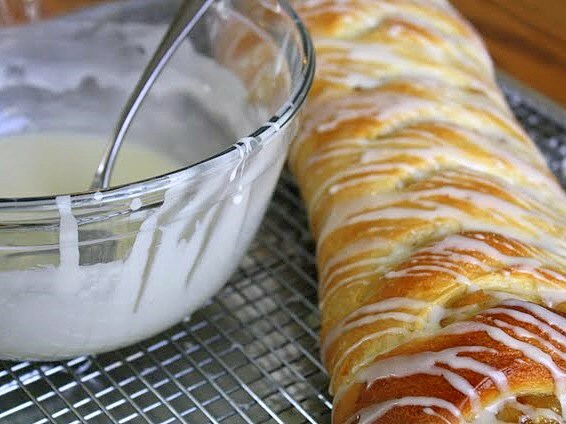 Let them cool on the rack until slightly warm, then drizzle them with the icing. 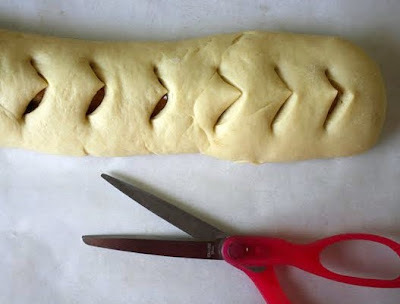 Alternately, if you'd prefer to shape your dough (meaning, half of your entire batch of dough) into one long roll, follow the above instructions for shaping (roll out a 12" x 9" rectangle, spread the filling on it, roll it up lengthwise, pinch the seam closed, and place seam-side down on a generous sheet of parchment paper), but instead of slicing the roll into individual pieces with a knife, take a sharp pair of scissors and nip little "V" shapes into the top of the roll at intervals of about 1" or so, to make little windows that will allow the fruit to be seen and steam to escape. 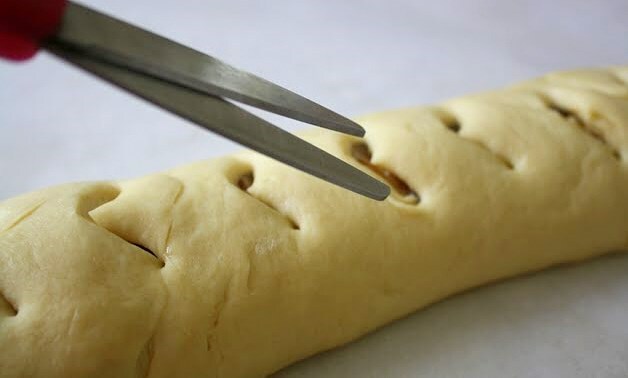 Cover the long roll with greased plastic wrap, then with a dishtowel, and let it rise again until almost doubled (about an hour). Bake on a sheet of parchment that's been placed onto 2 layered cookie sheets (again, 2 sheets will help prevent the bottom from burning), at 375 degrees in a preheated oven for about 20 minutes; at that point, if the top is already quite golden, cover it lightly with foil and keep on baking until the roll feels kind of firm and the bottom is deep golden brown, but not dark brown. Let it cool on a cooling rack, and when it's still slightly warm, drizzle it with the icing. 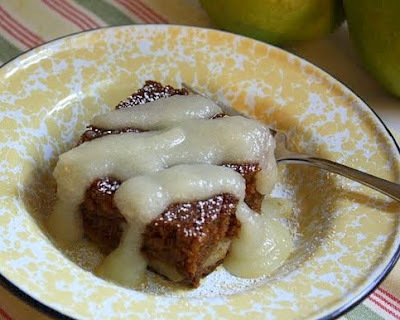 In a small bowl, stir about 1 and 1/2 cups of confectioners' sugar together with a couple tablespoons of heavy cream or half-and-half, along with 1/2 tsp. of vanilla extract. Adjust the thickness by adding more sugar, or more cream. Stir until completely smooth. Best eaten while really fresh!